Mid-season and still want *this* season's tickets? Not to worry! We've built our season ticket program on a flex system, which means you can use your 4 tickets vouchers any way you'd like for our remaining production(s): see the same play more than once, or bring 1-3 friends along for the artistic ride! 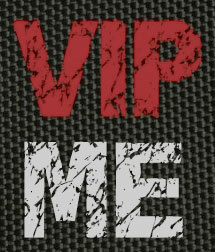 With TSP's VIP Flex Ticket Program, the option is up to you. If you have any questions about our season ticket program or would prefer to pay by check or cash, please email Managing Director, Erin Cronican. For our 9th Season we bring you six stories that have their characters pushed to the edge - what happens when your life goes to extremes? What do we do in that critical moment of desperation? Through seminal works by Nobel Laureates, Pulitzer Prize nominees, Tony winners, and masters of the theatrical canon, we are initiating a deep conversation about what it means to be human, and how these works reflect the trials and tribulations we experience in today's society. our first annual marathon play reading to celebrate the opening of the season. Click for more info. There's no better way to experience these important plays, brought to you with the intimate & visceral style of storytelling you have come to expect from The Seeing Place. Donate Online (Single Donation):Click the button to the left to view the perks and details, then select the donation amount that's right for you and follow the instructions to donate online. Donate by Cash/Check (Single Donation): Download this donation form, and mail with your donation to: The Seeing Place Theater, 165 E 87th St #3FW, New York, NY 10128.